The charter of the Committee is to commemorate our fallen heroes and to honour our surviving veterans. The recognition of the gallant courage displayed by the Australian sons and daughters in fighting for the preservation of liberty and civilisation. The relief, by way of donation, of aged war veterans and their widows, including those suffering from dementia. 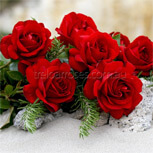 The commemoration of our fallen and the acknowledgment of the suffering of our wounded. The conduct of patriotic ceremonies in every town in Queensland on ANZAC Day, the 25th day of April. The encouragement of religious bodies to observe ANZAC Day by such religious service as each body shall decide. The care and upkeep of graves of ex-Service personnel whose death was not accepted as due to War Service by the Repatriation Commission. Whilst this is an accurate quote from the Constitution, how does it translate into deeds and who are the patriotic volunteer citizens behind this unique Australian organisation? In short, what is a plain-English explanation of the ADCC? conducting our Annual Badge Appeal with the support of the Queensland sub-branches of the Returned & Services League of Australia (the “RSL”) and other ex-Service organisations. providing subsidies and grants in accordance with our charter and objects. Behind the scenes, some 29 individual or corporate members comprise the General Committee. A minimum five-person Executive is elected each year to conduct the hands-on business of the organisation. At the annual meeting, the General Committee performs a role similar to that of a Board of Directors; that is, it reviews the results of the Executive for the previous year and provides guidance for the next. All members are patriotic volunteers who perform their honorary tasks as an ongoing citizens’ gift of the people to the war veterans of Queensland. Currently 20 member organisations provide State-level representation. Each has one vote but may nominate up to two representatives. Pastoral — the Anglican, Roman Catholic and Uniting Churches. Civic — The Brisbane City Council, the Queensland Department of Education and the Department of Veterans' Affairs. Civil — The Royal United Services Institute of Queensland Incorporated, Toc H Australia Northern Region Incorporated and the Queensland Country Women’s Association. Welfare — Defence Force Welfare Association, Salvation Army Red Shield Defence Services, and Australia War Widows (Queensland) Incorporated. Service — Defence Joint Operations Support Services. Ex-Service — The Council of Ex-Servicewomen’s Association, the Naval Association of Australia Incorporated, the National Servicemen’s Association of Australia Incorporated, the Australian Peacekeeper and Peacemaker Veterans’ Association Incorporated and the Vietnam Veterans' Association of Australia Incorporated. Queensland’s unique ANZAC Day Commemoration Committee has been a proudly non-aligned citizens’ organisation since its inception in 1916. Today it continues to prosecute the original aims for a "holy day" of commemoration rather than another public holiday festival. It is a most successfully-managed and effective business which has survived because it is keeping abreast of modern business practices and capitalising on society’s patriotic resurgence. The ADCC must endure because it will always represent the citizens’ gift of the people to Queensland’s war veterans. You can also find out about the ADCC Logo, our Annual Badge Appeal or read a short history of the ANZAC Day Commemoration Committee. The ANZAC Day Commemoration Committee as a registered charitable organisation is registered with the Australian Governments Charities and Not-for-Profits Commission (ACNC) and as such is permitted to display the ACNC tick. 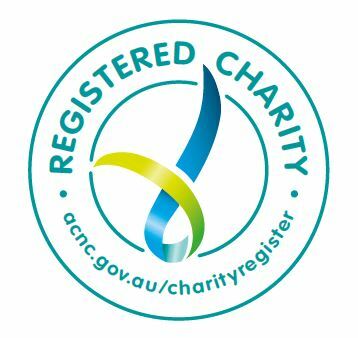 The ACNC has developed the Tick of Charity Registration for registered charities to show the public that they are registered with the ACNC. The Registered Charity Tick aims to give reassurance to the public that registered charities are transparent and accountable by highlighting their presence on the ACNC Charity Register and meeting their annual reporting requirements to this industry regulator.